There are two time sensitive things you have the opportunity to enjoy during the week ahead. One is the Wanderlust Art Truck parked in Maryport through the 28th and the other is a Keepsakes Contest with a deadline of June 1st. The truck is parked at A Little Piece of Art. On the grounds are a cafe, The Pixel Gallery and a club called A Heart Shaped Box. 2. Your choice of expression, whether its a poem, story, snapshot, scanned artwork, 3d piece (not too big or li heavy please), or other forms of creativity are good! 3. No fb/flickr/whatevs needed. 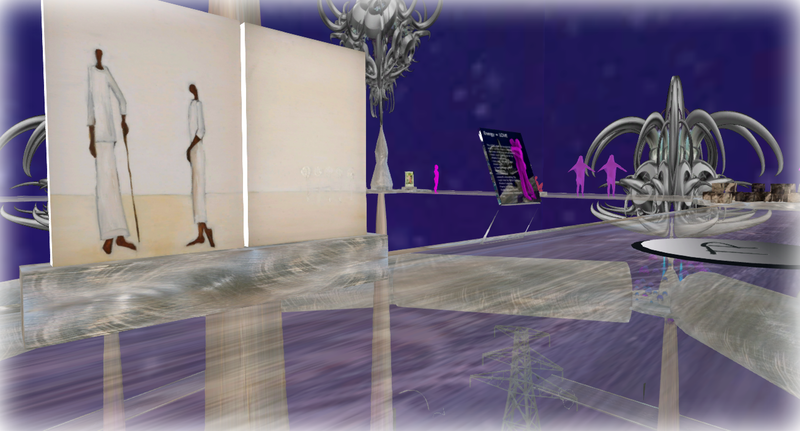 You’re of course welcome to share wherever you like, but the contest will be a non-voting one, focused on inworld appreciation of creative expression. 4. Winning Pieces will be selected by Art Oluja, based on a range of criteria, with just one being the overall technical skill/quality of the finished piece. However, authenticity and reflective perspectives, openly expressive pieces will go far in the “judging” process. 1000L to favourite piece, and 500L to five more winners for surprise categories. 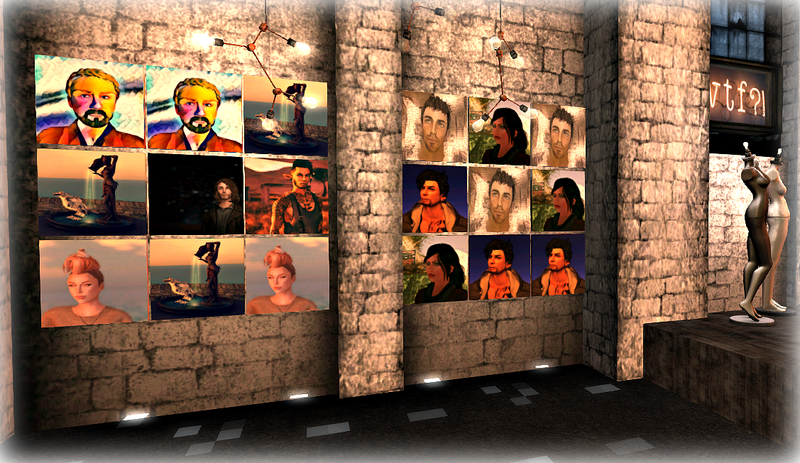 While you’re checking out the Art Truck and exploring the parcel, you can click on one (or more) of the squares on the profile pic display board in the club. 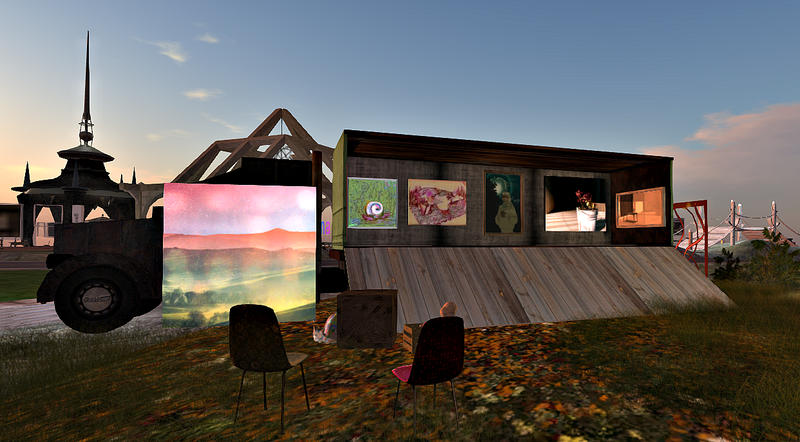 The Wanderlust Art Truck is an enjoyable project by myself and Klaus Bereznyak. We show art from contributors and from our collections of ourselves and those of our hosts; it’s different each time. Sometimes there’s an opening party, sometimes not. I have documented the Truck at each location and uploaded them to vimeo. 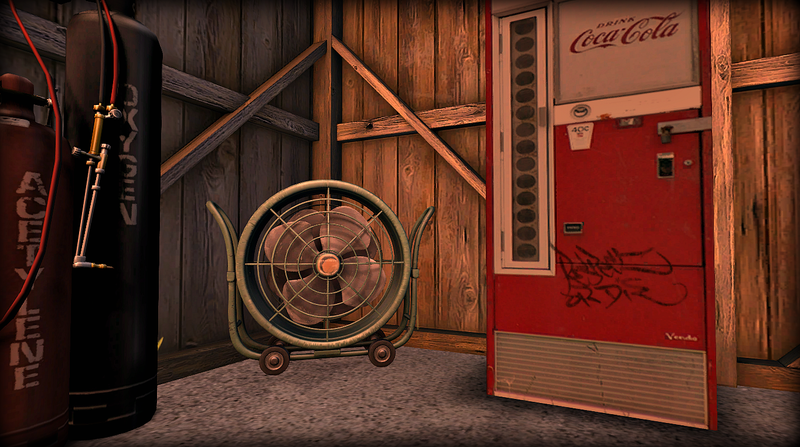 They aren’t organized in a collection but here is the machinima from the last location at Jiminy. A good portion of the fun for us is the filming of the travelling scenes by road, water and air. Above is shown a photo from our journey to Toshimora Observatory. 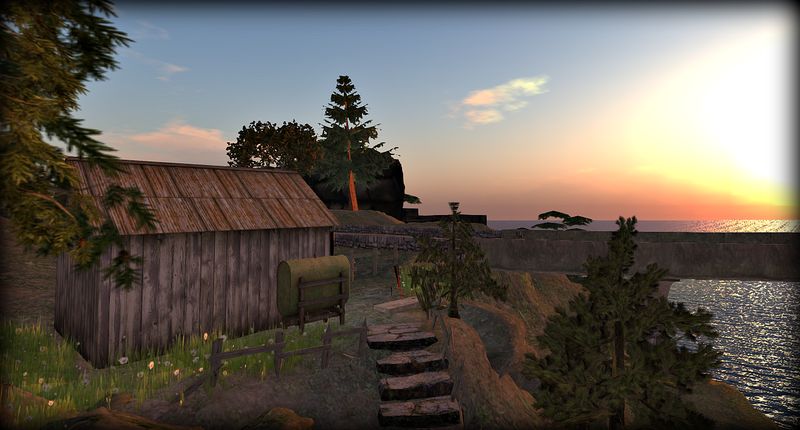 We began the project in February at my home in Rosieri (where I accidentally returned everything that was rezzed) and the truck has visited Sojourners Grove, Elle’s Art Lot, Trilby’s Moors, Toshimora Observatory and Cricket’s Comfort. The Truck, or sometimes just the container of art, is usually at a location for about two weeks. 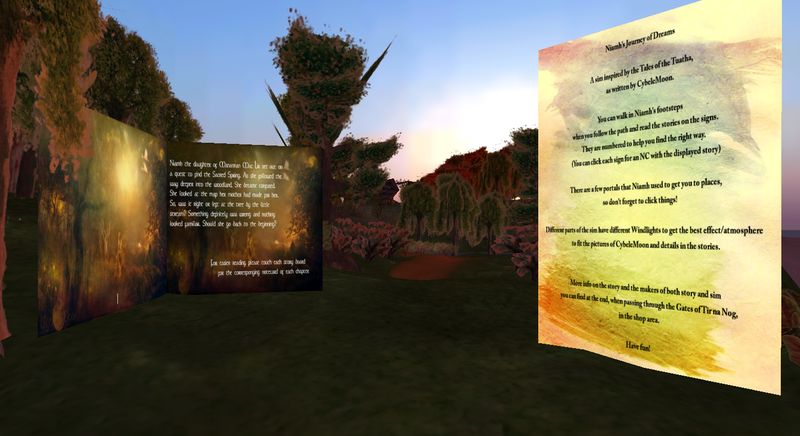 Notecards for the Glass Jars Keepsakes Contest can be picked up inworld from the posters at A Little Piece of Art and Glass Jars, LEA 11. Energy by Asmita Duranjaya opened officially a week ago at LEA 9. Near the landing are info cards about the installation which is open through the end of June. 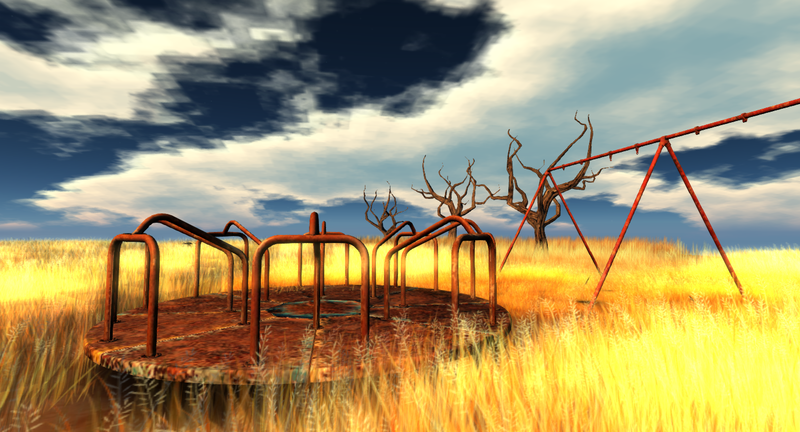 You’ll find yourself standing on a teleporter used to reach the other layers from the Transformation layer. during the history to produce physical energy. The utility poles refer to the electrical energy, which is won by transforming water, wind, sun or terrestrial heat. 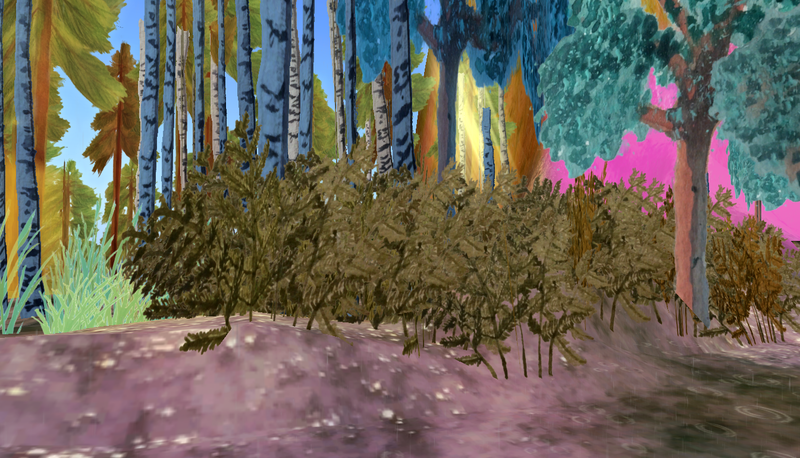 “My sim-wide installation ENERGY is a piece of conceptual techno-organic art. I try to visualize the term in five layers, from the simple physical aspect to the philosophical aspect of looking beyond the physical boundaries. My favorite layer is the Movement layer. I especially enjoyed looking at the art pieces on the walkway. 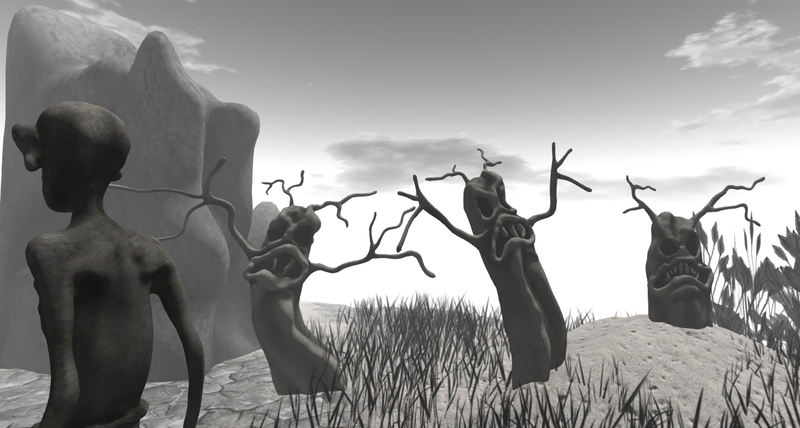 “Second Life has a lot of options for movement, be it in dance-animations or by using scripts to let textures move. Vehicles and even bot-avatars can be setup to move repeatedly on a certain trace or to roam free and according to the control of a person behind the screen. Above movement is the Energy=Interaction layer. “The layer INTERACTION provides opportunities for the visitor to trigger visual events by collision or by touch. 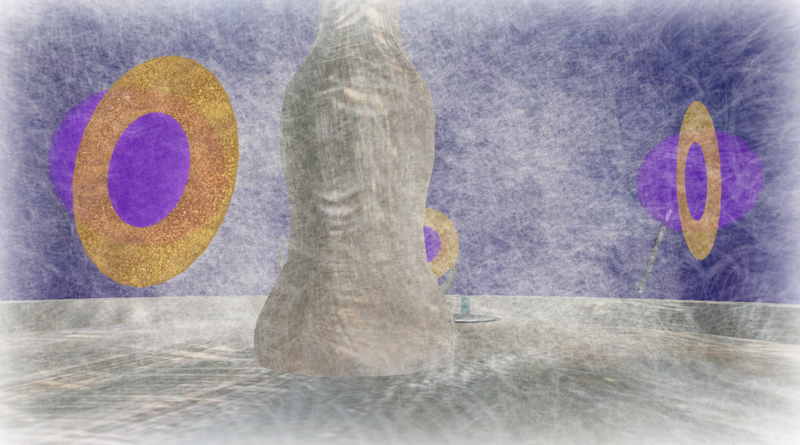 In the corners he can create his own fracticle-show (fracticle=fractals as particles) by touching the round buttons. Shown above is the Energy=Love layer. Contributing artists are: Jaime Poutine, Merit Coba, Kolor Fall, Scottius Polke, Finny Yates, LouEct, lalie Sorbet, Aloisio Congrejo, bachi Cheng, Frantz Catteneo, Louly Loon, Sylver Piccard, Elle Thorkveld, Kyoko, Vonnie Fox, Wintergeist, OHE54, Natsha Lemton, and Nish Mip. 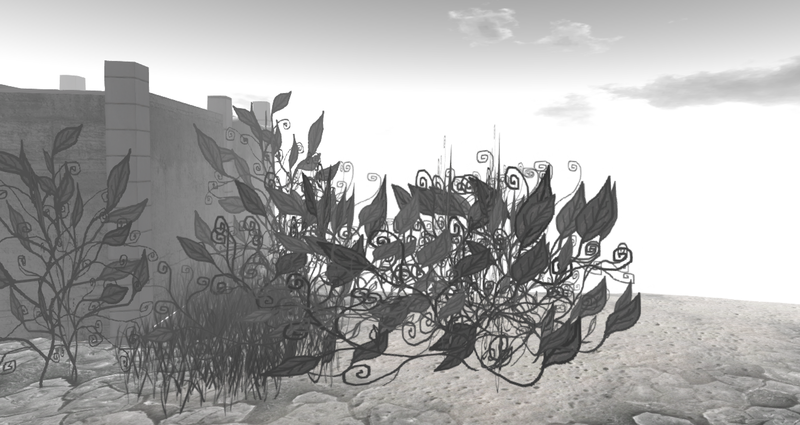 Recently I returned to one of my favorite galleries in Second Life, the Placebo Gallery in Jormundgandr. The curator was on the premises, having just acquired two more pieces. The gallery has always held an excellently curated personal collection of art for as long as I’ve known of it. Located close to Circuit La Corse, it has been expanded and updated during the last six months or so. To the right of the landing, in an enclosed courtyard, are the welcoming home and gardens of the curator. There are many amenities which are also a wonderful collection of pixel creativity. 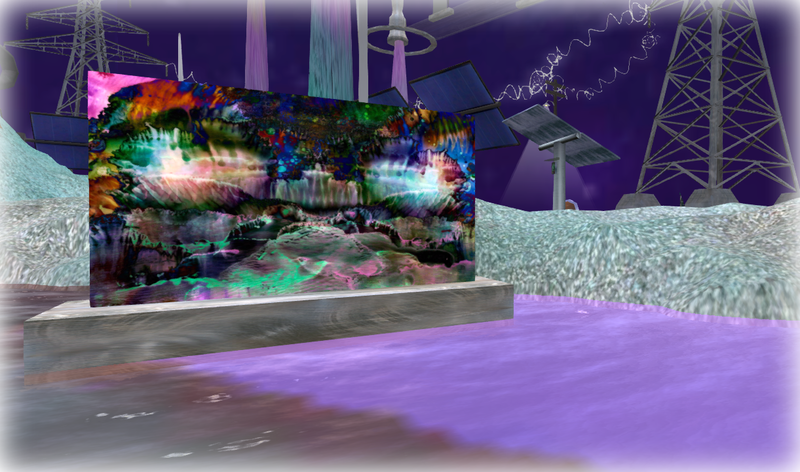 Digital pieces by the human behind the avatar are displayed in this area. The great eye for design is evident everywhere. I wanted to linger even longer but also intended to do this blog post in a timely manner. 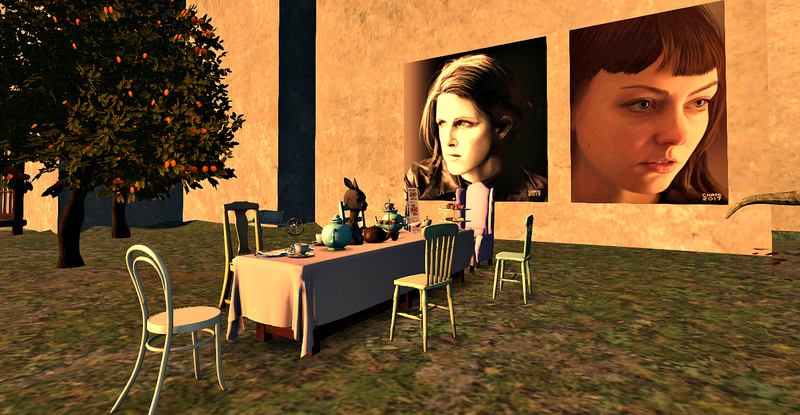 More art is displayed inside the home along with quirky, wonderful objects. In the first display room of the gallery is a photographic exhibition by ReadMeri. Her photographs, usually seen online, look great on gallery walls. I kept meaning to count the number of floors, maybe seven, but kept getting distracted. 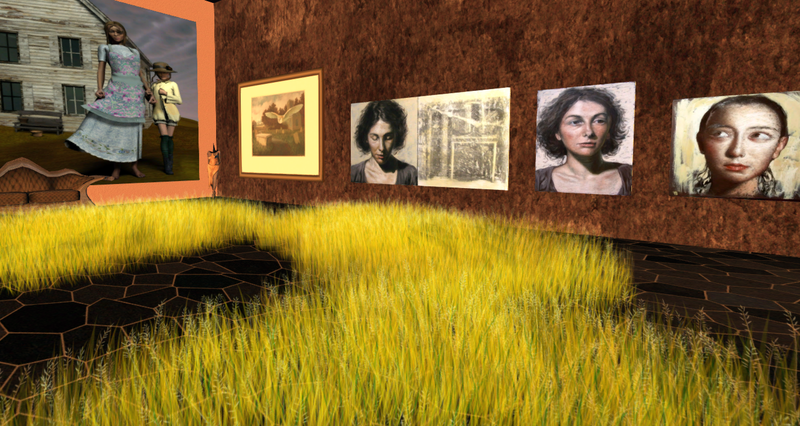 I like there to be plenty of seating in galleries, especially one this huge, for when my avatar has to park for a few minutes. 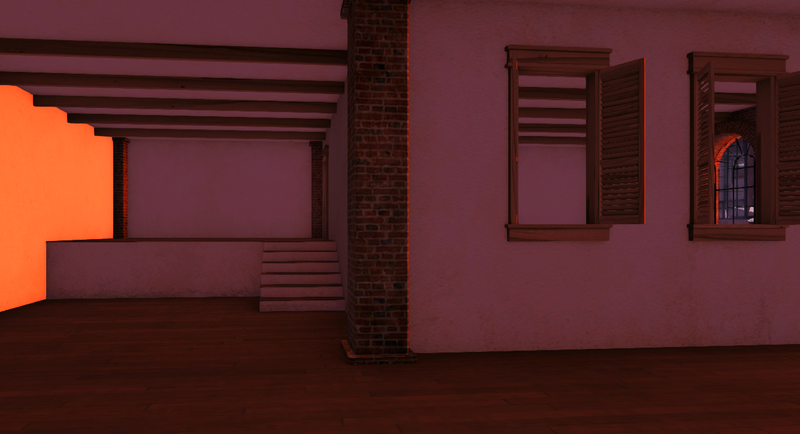 It’s interesting how the floors and rooms are configured. There are works from years past plus very recent pieces I’ve seen around our world. 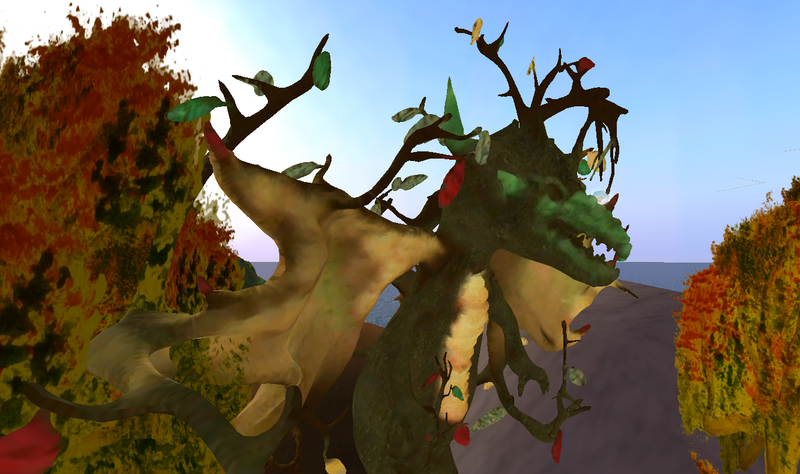 And I always like to see an avatar supporting the arts in SL and taking an interest in what others do. For an interesting and well-documented history of the gallery, see this post. I looked out one of the windows on an upper floor and could see one of the huge buildings nearby. 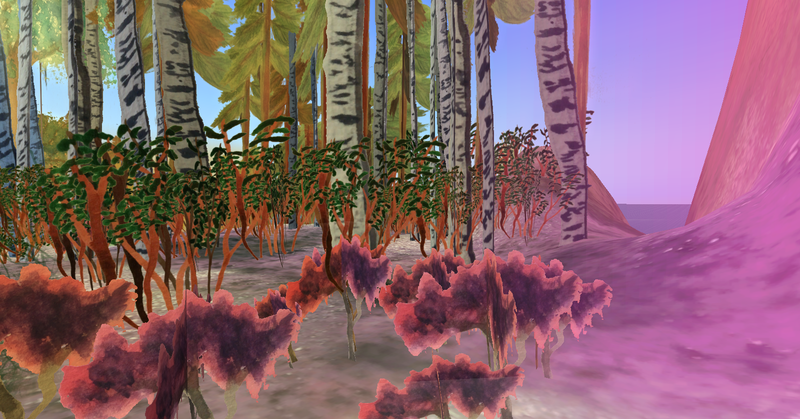 In years past, after visiting the gallery I would hop on a pod and tour the area, looking at changes. It has been more populated of late and seems to attract vampire clans although I haven’t had time to explore more closely. And up on the rooftop—more stuff to look at. “Public rezzing area, 5 minute auto-return. 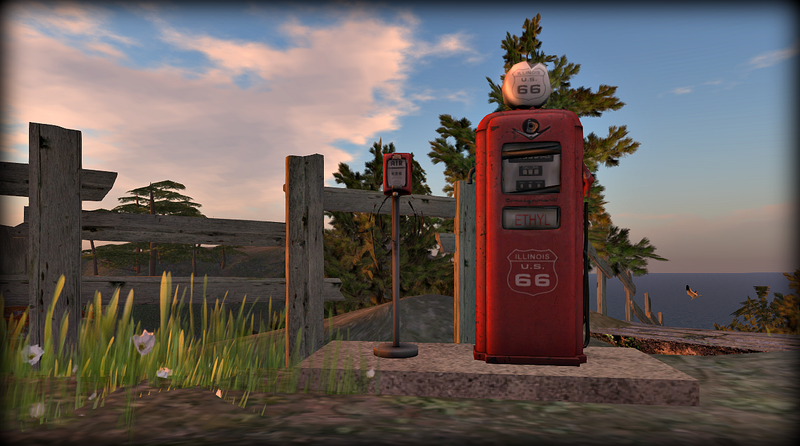 Drawbridge Garage is a 240 square meter parcel just off the road in Drawbridge, Sansara. The calendar page in the garage is from February 1950. The place is clean and there hasn’t been a lot of vandalism. It looks cared for. But that’s a post for another day and for you to explore in the meantime. Earlier this year I looked forward to the Draftsman event; I had been anticipating the one that was to be Victorian themed. That was back in January, I believe. Recently I made time to check it out again. I learned it is now a monthly event, opening on the 20th of each month and closing on the 15th of the following one. 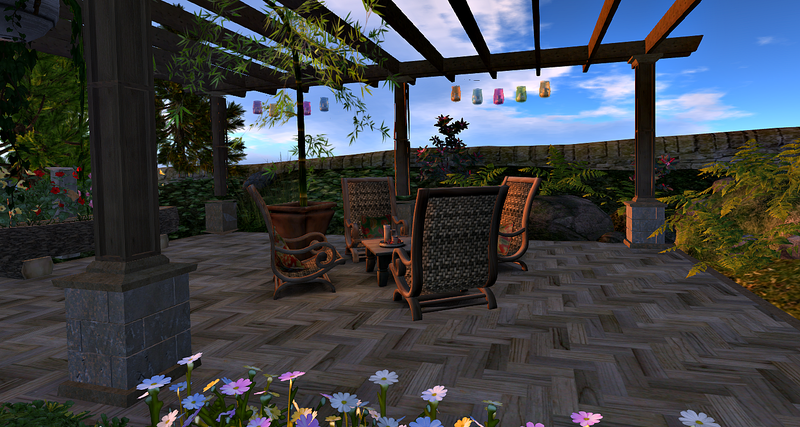 And instead of being called An Architectural Event, I see Home Decor, Garden & Architecture in the SLurl. 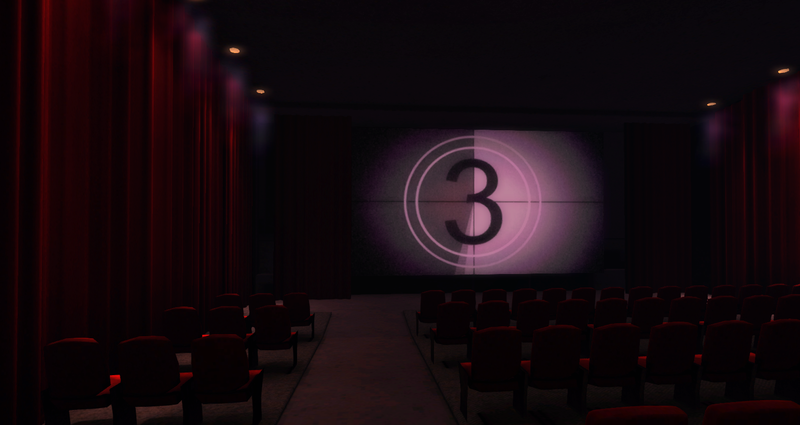 Shown above is a glimpse of the inside of the Palace Movie Theater by Kraftwerk. I’d first seen a copy of this building near the landing of The Last Forever. This round, I found it easier to get around. 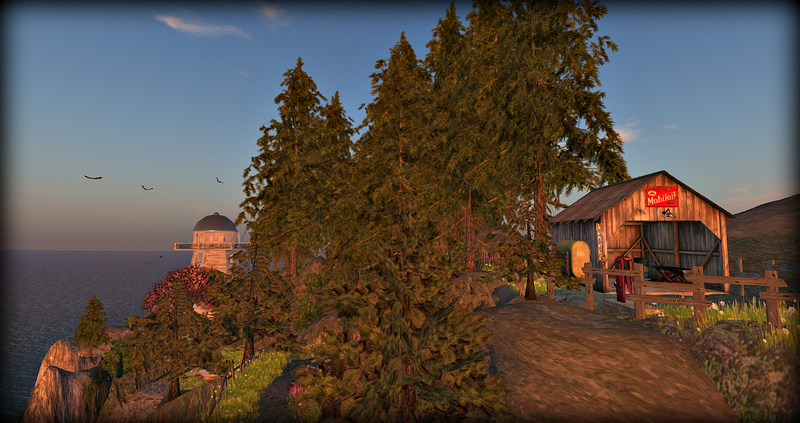 At the landing you can choose to walk past some buildings, etc to the center area which holds the decor and garden vendors or you can teleport to the center. There are fewer buildings. Some are alongside the walk to the center; the others are on a demo platform in the sky. Shown above is the inside of Unit 254A skybox by Thistle Homes. 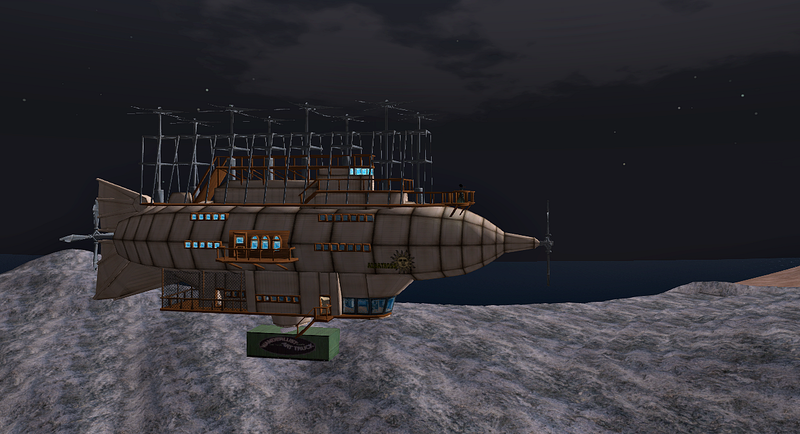 On the demo platform is the Steampunk Floating House by Pillows. The top photo of this post shows a detail on the roof of the tiny build. Draftsman is connected to the Builders Box quarterly subscription. I first heard about Builders Box in my Schultz Brothers group; I appreciate the masterful work of Jogi Schultz. 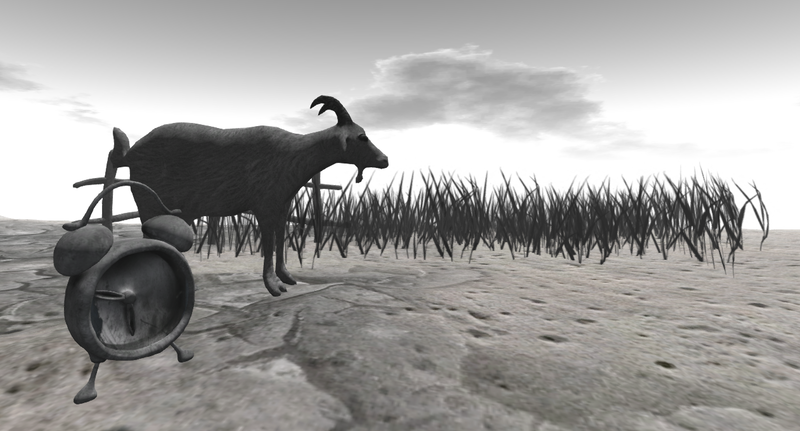 My Second Life is full of diverse interests; it’s mostly a consciousness lab for me. Shopping and events are only a small fraction of it. But I subscribed to Builders Box soon after reading about it and after seeing only two teasers. There were ten builds in the box which was delivered on May 5th and I am delighted and impressed by the value. There were only two that I consider just OK and about six of them I really like. This is a personal blog, not a sponsored shopping blog, so more detailed info will have to be researched elsewhere. Not much has been on my radar about this at all. I own several different mainland parcels, none larger than 1024 sq m. Some of the buildings are a bit large and high Li for those but often I fill spaces with just art and minimal decor. I am very much looking forward to using most of these buildings and the whole experience has been enjoyable for me. I consider it very well worth the lindens. Opening today at Noula, Fade Away is a monochrome installation by Cica Ghost. 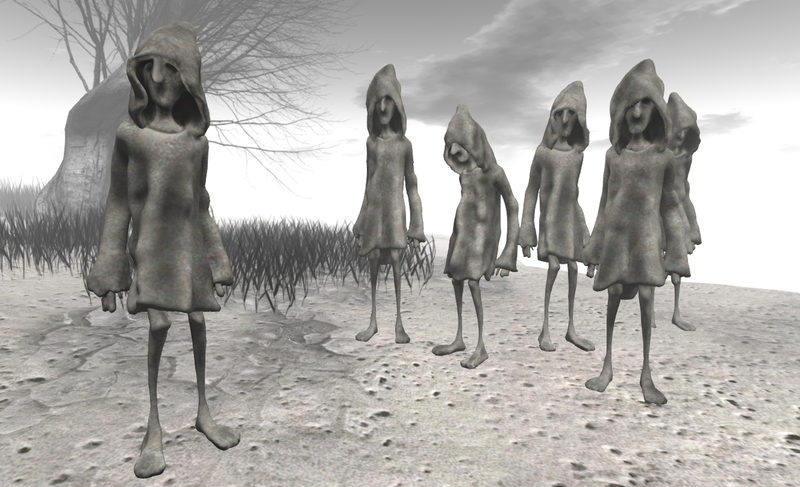 Some of the figures, do indeed, appear and then fade away. The ticking of clocks can be heard as you explore the installation. I enjoyed my initial visit and will return. The photos here are cropped and otherwise raw. 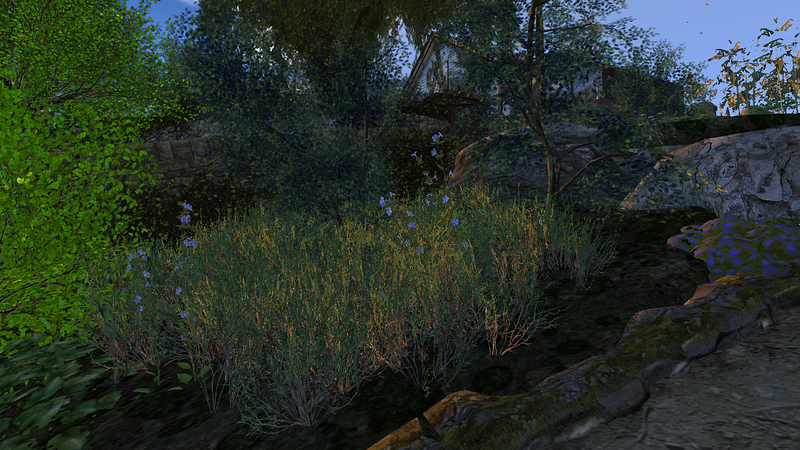 I don’t derender and considering all the avatars on the sim, I’m pleased with getting some photos I like. 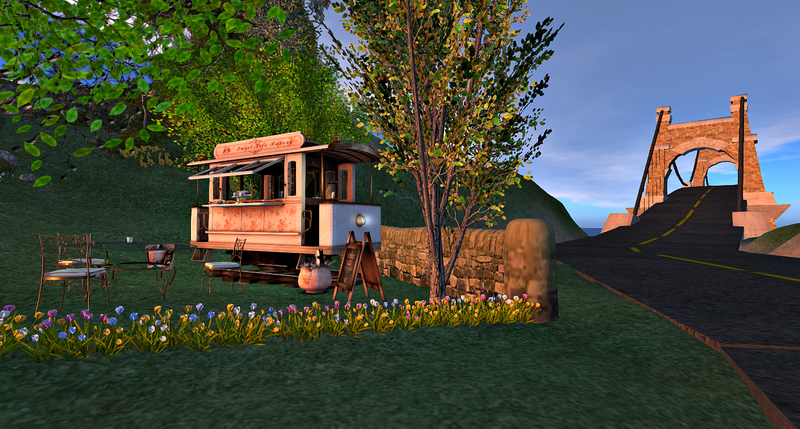 Along the roadside in Hooper, on the continent of Sansara, Tristizias Garden has a bakery cart and seating that first drew me in to the property as welcoming to visitors. 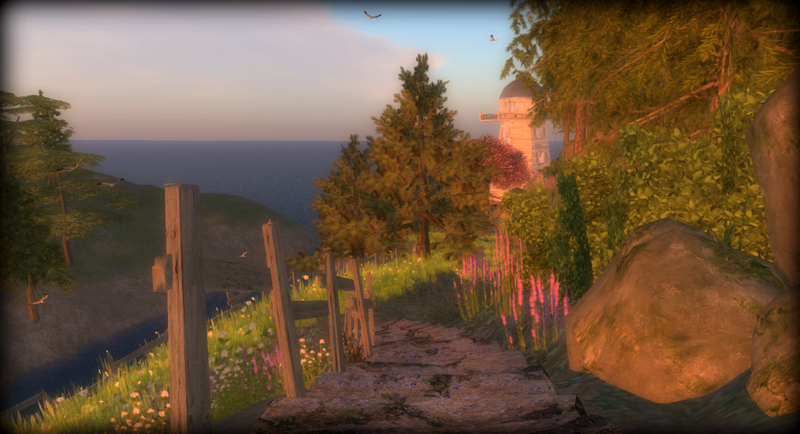 A path beckoned me up the steep hill. 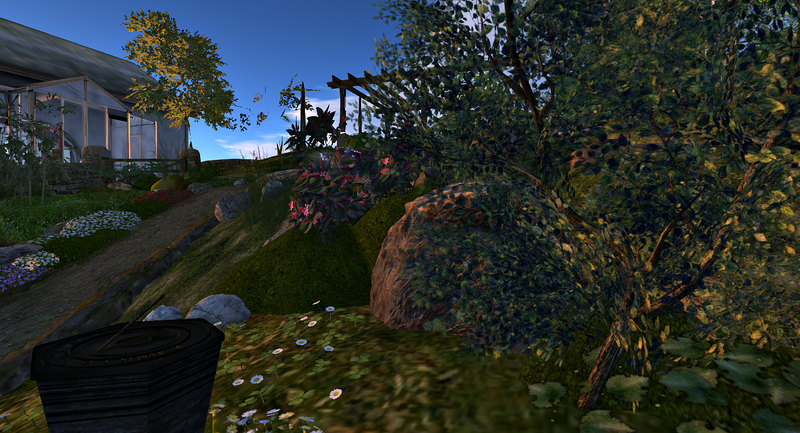 To the left of the Tristizias Garden parcel is land called Tristizias Home. Seeing a closed gate at the bottom of the hill and another at the top, I didn’t enter. There was a cute critter that kept popping it’s head out of the trash can at the bottom of this property. The grounds are very well cared for, with lots of spring flowers and wildflowers. It isn’t overly manicured; there’s a sense of wildness and established naturalness to the land. There’s seating around the rock pool as well as at the very top of the hill. I hadn’t been by this parcel for several months. I’m guessing it’s been there for a while but seemed more private without the bakery cart. To me, this whole parcel looks especially well put together. 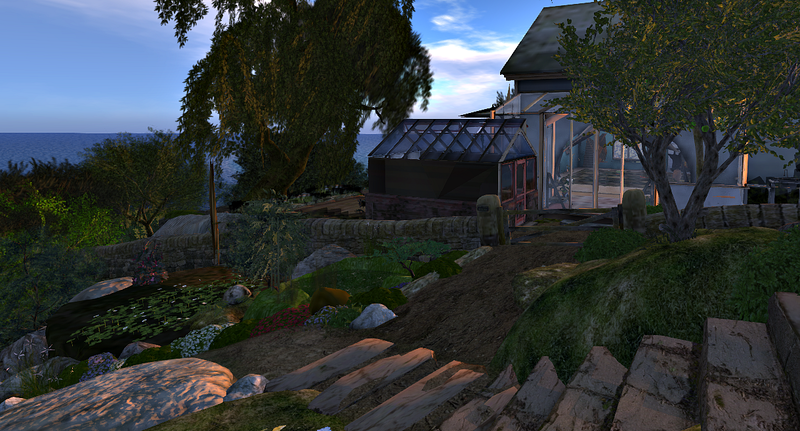 The sunroom of the house and the small greenhouse next to it, look really good next to the garden parcel. 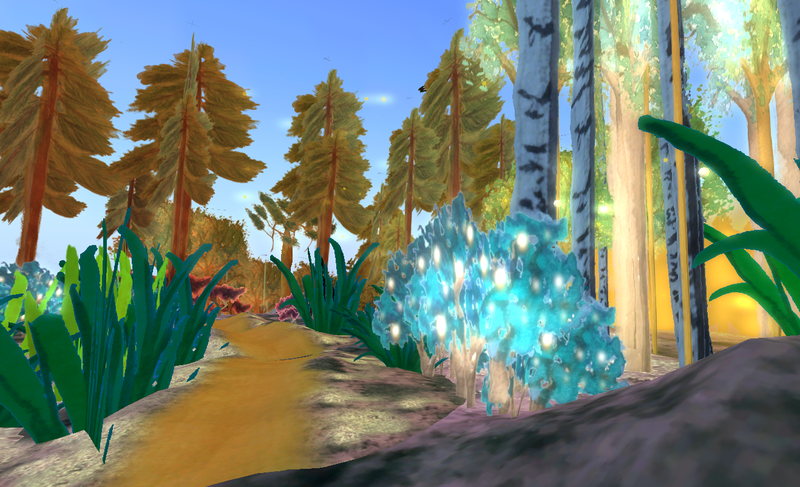 Recently I made time to enjoy visiting Niamh’s Journey of Dreams with a friend. 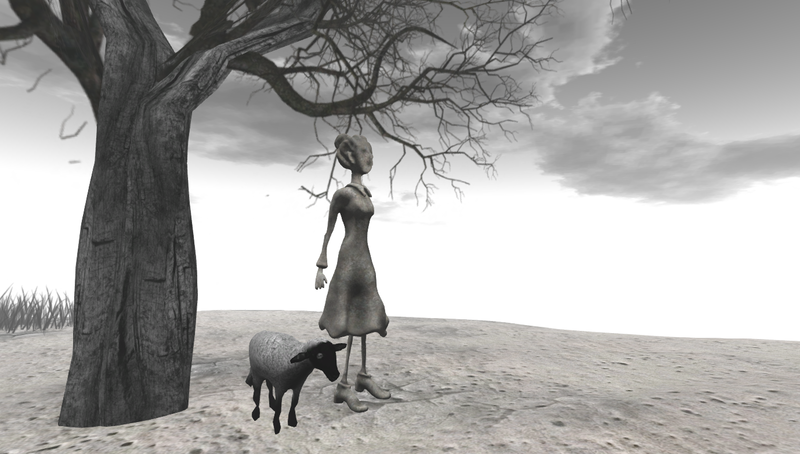 The installation is a collaboration between CeaKay Ballyhoo and Cybele Moon. The storyboards show a photo which inspired the landscape near it. You can click on it to get a notecard for easier reading. They are numbered, up to 23. 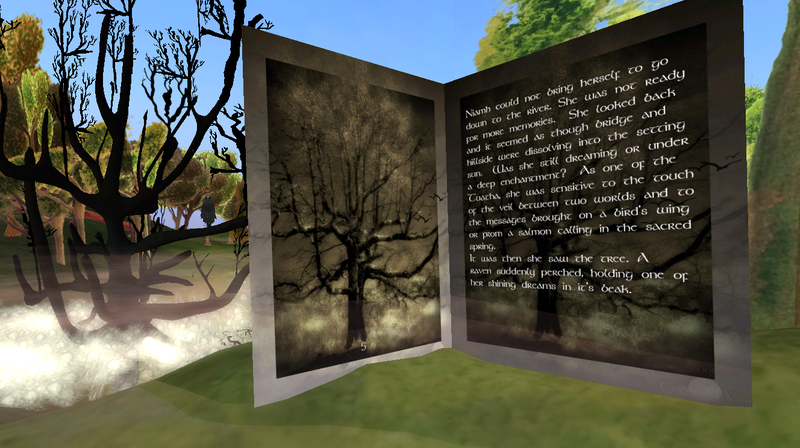 There are several portals to click on during the journey through the installation. I was intrigued by the texture of the water and delighted to find that the bluebells could be purchased from a little shop at the end of the journey. 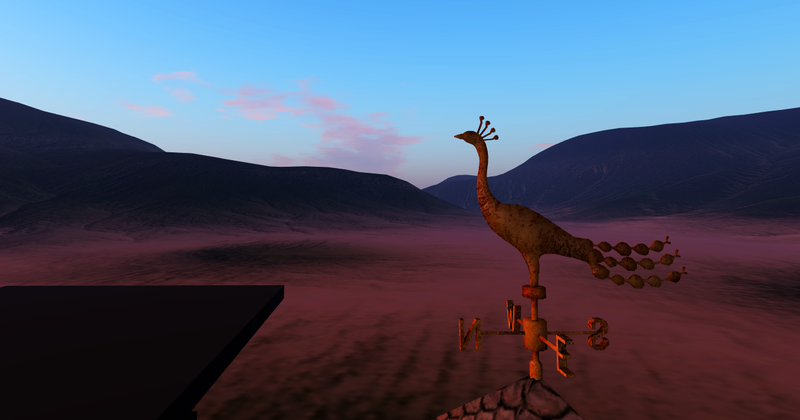 I enjoyed the views in every direction with the light settings on the Lab viewer. The planning for all the segments of art to follow the story flowing around the sim is very well done. For links to other blogs about Niamh’s Journey of Dreams see CeaKay Ballyhoo’s blog. 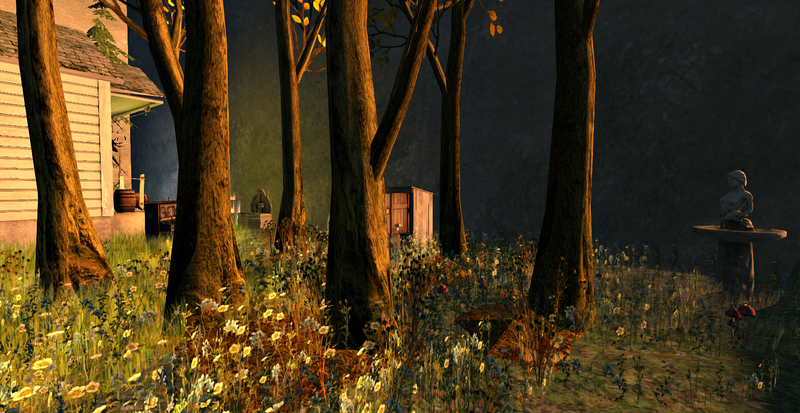 For Cybele’s wonderful storytelling, see Tales of the Tuatha. 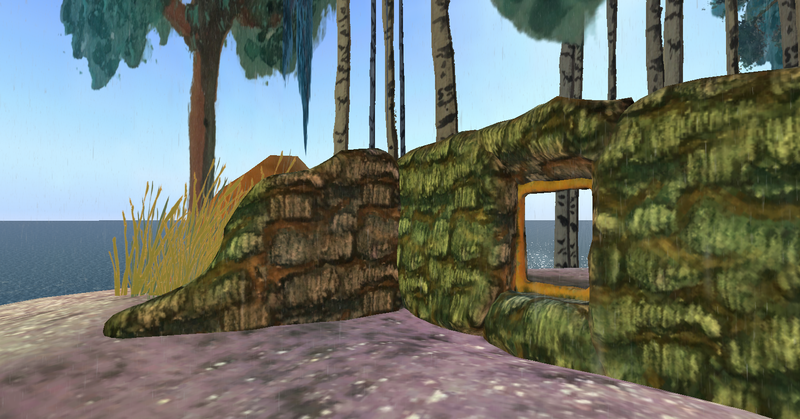 Another personal favorite of the landscaping is this wall with window. I believe the installation is up through June. 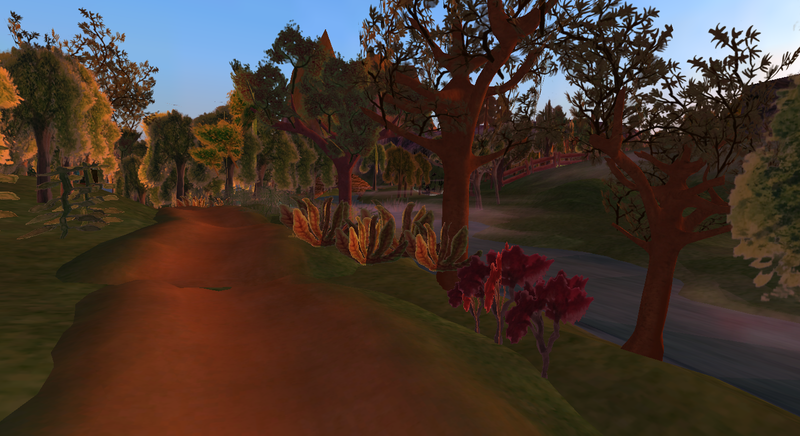 It’s a wonderful example of what can be done in virtual worlds.